Published: April 13, 2015 at 10:01 a.m. Updated: April 21, 2015 at 11:17 p.m. The lesson verbalized by character Omar Little in the HBO series The Wire has been translated and heeded by AFC East foes in 2015. New England's reign over the division has been complete and ironfisted for the entirety of this millennium, leaving nothing for Patriots fans to do but lie leisurely on their plush throne of ease. After Bill Belichick and Tom Brady won their fourth Super Bowl ring in February, the rest of the AFC East began to stockpile assets and weapons for their upcoming revolt. The Miami Dolphins added the biggest -- and most expensive -- battle-ax in Ndamukong Suh, who they hope will terrorize Brady into retirement. 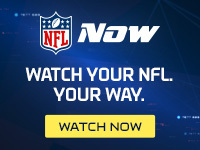 The 'Fins also cast off nearly their entire receiving corps to restart with young pass-catchers Jarvis Landry, Kenny Stills and tight end Jordan Cameron. The Bills hired Belichick's famous foil, Rex Ryan (at least Rex thinks he's a foil). Then Buffalo stocked up offensive weapons LeSean McCoy, Percy Harvin and Charles Clay. And then there was the New York Jets. Gang Green pillaged the Patriots' own stockpile, swiping Darrelle Revis and seizing Stevan Ridley. Adding corners Antonio Cromartie, Buster Skrine and safety Marcus Gilchrist solidified a weak secondary. And snagging a hired gun like Brandon Marshall for pittance was a power move. The three downtrodden teams closed the gap on the Patriots, who lost Revis, Ridley, Shane Vereen, Vince Wilfork and Brandon Browner among a host of footman. However, Belichick and Brady have never been easy to overthrow. 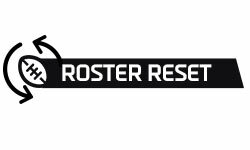 Our Roster Reset series will rank each team by the strength of their roster. Why the King stays the King: On the chessboard of football, the quarterback plays the role of the queen, steering the attack and destroying opposing defenses. While New England's divisional foes loaded up on rooks, bishops and pawns, they added no queens. The Pats remain the only team in the division with a difference-maker at the most important position in football, and one who can still poke holes in the stingiest of defenses regardless of the weapons around him. Under Bill Belichick, the Patriots are deft at reworking their schemes to fit their personnel. After losing their starting cornerback duo, they looked to solidify their front. Outside linebacker Jabaal Sheard is an underrated signing who could key the pass rush. Until Belichick and Tom Brady are knocked off the throne, we'll trust the Patriots to adjust their play and continue to rule. » Solidifying the offensive line: New England's shuffled offensive line led to early struggles last season. This year they enter with big questions at guard, where free agent Dan Connolly remains unsigned. Keeping pressure up the gut off Brady -- especially with Ndamukong Suh now in the division -- is key; fortifying the middle of the line is a big priority for this year and down the road. » Unearthing defensive back aid: Belichick has added a bevy of flier veterans with Darrelle Revis and Brandon Browner gone: Bradley Fletcher, Robert McClain and Chimdi Chekwa. The positivity surrounding Malcolm Butler is swelling, but there is no obvious No. 1 corner in New England. » Adding a defensive tackle: With Vince Wilfork in Houston, the Pats' top tackles are Alan Branch and Sealver Siliga, who is coming off surgery. It's a lot to ask Siliga to supplant Wilfork outright. This is a position New England could look to fill high in the draft. Their biggest hole is the most important: The Bills have the defense, offensive weapons and coaching staff in place to wrestle the division away from the Patriots. However, at the most important position in sports -- the quarterback -- sits a 75-point-font question mark. Rex Ryan will lead a battle royal of quarterbacks into training camp: Matt Cassel, Tyrod Taylor, EJ Manuel and Jeff Tuel. All leave a lot to be desired. That Taylor even has a shot at the opening-day gig tells nearly the entire story. Cassel could be the calming, no-mistakes signal-caller Buffalo needs, but he hasn't played more than nine games in a season since 2010. Manuel has been a huge disappointment since being drafted in the first round and not winning the gig could doom his career. And Jeff Tuel is Jeff Tuel. The Bills beefed up the surrounding talent, and the addition of LeSean McCoy will give the ground game legs to lean on. But at some point Buffalo will need to ask one of its quarterbacks to win a game. Whether they can remains a mystery. We've been over the quarterback question, so let's look at the other positions to upgrade. » Add offensive line help: Nothing short circuits a questionable quarterback like shoddy line play. Richie Incognito was brought in to upgrade the guard position, but he's been out of football for more than a year. The other guard, Chris Williams, played just three games last season before going on IR. For a run-first offense, starting Seantrel Henderson at right tackle could provide some sleepless nights. » Fly in a veteran safety: With Da'Norris Searcy gone, Duke Williams is set to step into a starting role. There is a need for depth with Bacarri Rambo and Jonathan Meeks as the backups. Free agent Dawan Landry visited Buffalo and knows Ryan's system from New York. He could be brought in as a stopgap while the younger players wet their feet in the scheme. » Bring in linebacker aid: With the trade of Kiko Alonso to Philadelphia, the Bills sit with starters Nigel Bradham and Preston Brown on the inside. Buffalo will look to add depth at the position either in the draft or with a low-level veteran signing later in the summer. Will big changes bring big differences? The roster turnover in Miami is impressive. The Dolphins jettisoned veteran players left and right like a clothing store shipping its old wears to the local ROSS to make room on the shelves. Suh's play must not only live up to his paycheck, but he'll need to prove he's worth it, plus the other players that aren't on the roster due to his salary. Losing both Jared Odrick and Randy Starks leaves Suh without an ideal running mate on the inside. The Dolphins essentially torched their linebacker corps to bring in Suh and the defensive backfield remains in need of some help. On offense, the Dolphins jettisoned almost their entire receiving corps and swapped highly paid Clay with Cameron, who has injury questions. Landry and Stills have the potential to be a studly young duo, to be sure. But can the offensive overhaul be enough to jumpstart Ryan Tannehill and help push him into the top 10 of NFL quarterbacks? » Find someone to guard the quarterback: The Dolphins believe second-year player Billy Turner has promise at right guard. But the former third-round pick played just 17 snaps as a rookie -- at right tackle. Dallas Thomas at left guard is a problematic question mark heading into the season. » Get secondary help: Cornerback is the priority in South Beach, where Miami must find a No. 2 opposite Brent Grimes -- with free-agent signee Brice McCain better suited in the slot. Safety is also in need of depth alongside Reshad Jones, where Louis Delmas is coming off an ACL tear. » Add offensive skill depth: Behind Landry and Stills there isn't much in the receiver department. The Dolphins could use a big-bodied wideout to complement Stills' speed and Landry's work from the slot. We'd also like to see the Dolphins add depth at tailback to help shoulder the load from Lamar Miller. Why can't Gang Green crawl out of the basement? The Jets made good offseason moves that should position them to compete. They could have fallen anywhere from 2-4 on this list without much argument. Yet when looking at each team in April, it's hard to fully trust the Jets' offense. If Geno Smith doesn't morph into a playmaker, the Jets are left to turn to Ryan Fitzpatrick, who inspires zero faith and is coming off injury. Perhaps they draft a quarterback, but that's not in the cards we are playing with today. Adding a player like Brandon Marshall isn't worth much if no one can throw him the ball. The running back position lacks a speedy playmaker that offensive coordinator Chan Gailey is adept at utilizing. Instead New York signed Stevan Ridley, who appears as a Chris Ivory double. The biggest non-QB cause for trepidation is the offensive line. A middling unit in 2014 added only guard James Carpenter, who was himself mediocre last year in Seattle. Breno Giacomini is a below average starting right tackle. With no other upgrades, whoever is quarterbacking the Jets could be in for a rough go. We have faith that Todd Bowles will lead a fierce defense given his new toys in the secondary. The offensive fears, however, undermine those happy thoughts. » Find out if Geno is the man: The best-case scenario for the Jets is that Smith comes out and continues to build from his late-season surge, ends any quarterback controversy and develops into a solid starter. Worst-case scenario is that the pressure gets to him, he fails to pick up the new offense, bottoms out like a depressed emo band guitarist and the Jets are left in the quarterback dungeon for the next epoch. » Protect the quarterback: As previously stated, the Jets didn't do enough to upgrade a less-than comforting unit. » Rush outside linebacker: The Jets don't possess a dominant outside rushing linebacker. They need to add one, because unless something clicks with Quinton Coples under Bowles, New York will be very thin and aging in that area.